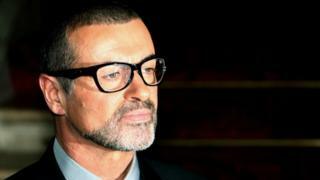 Two members of ambulance staff were interviewed by police after a 999 call made after George Michael died was leaked, a freedom of information request has revealed. The singer was found dead by his partner Fadi Fawaz in Goring-on-Thames, Oxfordshire, on Christmas Day 2016. The recording is said to feature Mr Fawaz talking to emergency services. A statement issued by solicitors said the star's loved ones were "truly appalled" that it was made public. A document obtained by the journalism department of Highbury College, based in Portsmouth, showed Thames Valley Police had "sufficient suspicion" to interview the South Central Ambulance Service (SCAS) staff members. It said it launched an investigation in May "following the release of a 999 call which had been made to South Central Ambulance Service". "A man and a woman were voluntarily interviewed under caution as part of the investigation. "No arrests were made and no further action was taken in relation to the two people." Its investigation has now concluded. SCAS said: "Following an internal investigation appropriate action has been taken in accordance with our internal processes and the matter has now been concluded." But its report said the investigation had been "unable to conclude as to where or how" the leak happened. George Michael was 53 when he died at his home from heart disease and a build-up of fat in his liver. He rose to fame in the pop band Wham! in the 1980s, whose hits included Last Christmas, Wake Me Up Before You Go-Go, and Club Tropicana. During his solo career he enjoyed seven number ones on the UK singles charts, including Careless Whisper, Jesus To a Child, and Fast Love.